Team Rumble just got a lot better. It’s hard to escape tricky situations in Fortnite Battle Royale, but not if you have a rift in your pocket. This week’s update will add the Rift-To-Go into the game, giving players a quick and easy route out of intense fights when things aren’t going their way. Rifts are new to Fortnite in season five, and they’re a wonderful addition to the game. 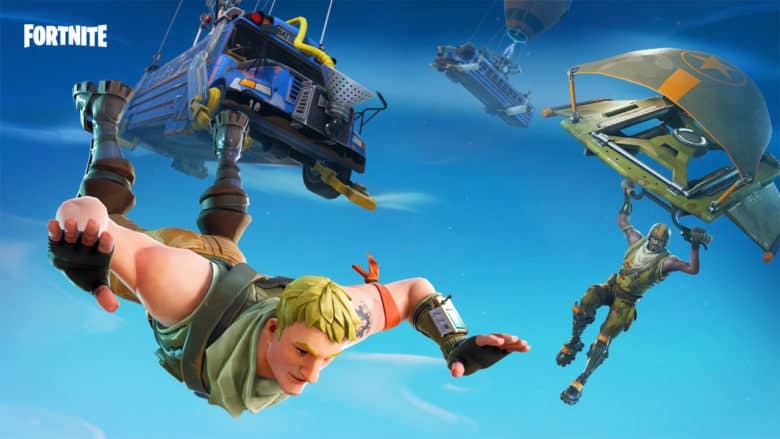 Located all around the map, they give players the ability to take to the skies with their glider when they need to get to the storm circle quickly or want to get a jump on their opponents. The problem with rifts is that they’re not always accessible, and they disappear shortly after being used. But soon you’ll be able to carry your very own in your pocket. The rift will give players an easier route to the storm circle when they get left behind, or a fast escape from tough gunfights. It will also give more aggressive players an opportunity to surprise opponents by gliding down on them when they least expect it.